I like to make games and stuff. Our protagonist, Warna, is being tormented by demons. Unleash the power of your pencil case to fight back. Use the demons blood against them to power up your weapons and send them back where they came from! Control Support: Controller (360 gamepad tested) or keyboard & mouse. The game is currently under active development. Feedback is appreciated. Scroll down to learn more about the game and download the demo. Explanation of core game systems and demo of tutorial and survival modes. An assortment of weapons with more coming soon. Enemies that react to the player and each other. See how long you can last in Survival mode and aim for high score. 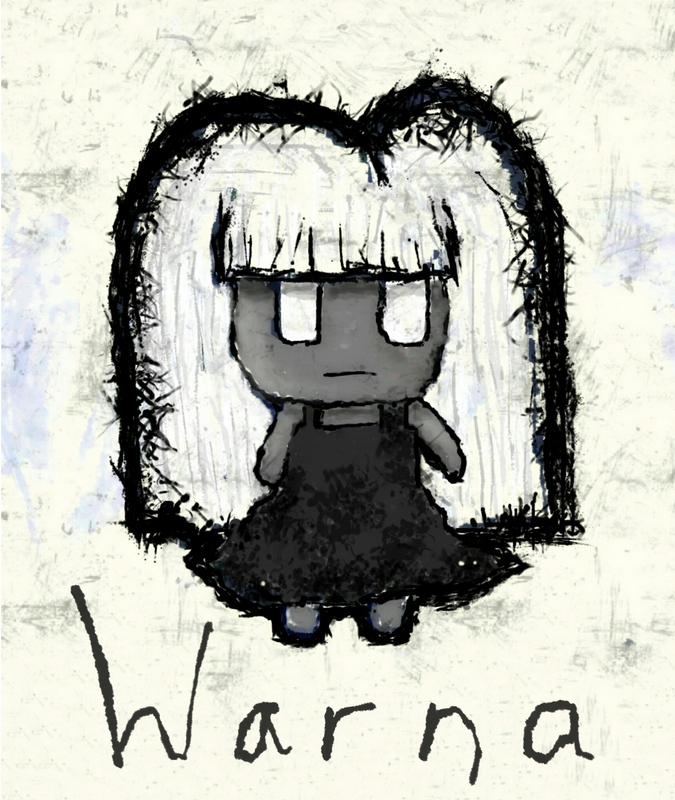 Warna is 5 years old. The first four years of her life, she was just a normal girl. On her fifth birthday she started seeing demons. At first her parents just thought she was having bad dreams, but then she started to exhibit magical powers. Could these things be linked? 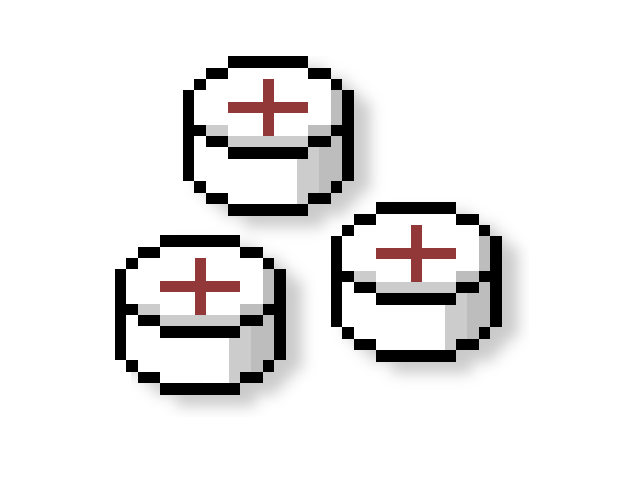 The doctors at MARE have a variety of medicines to help deal with your demonic affliction. Take your pills, take the shots, take care. Medication is only one part of the demonic battle Warna must endure. 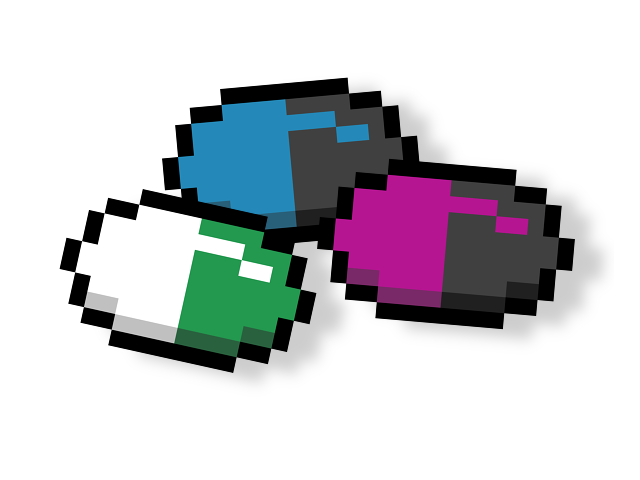 Taking colour pills will colour in nearby enemies. When killed these enemies will bleed ink. Standing in blood ink will unlock one of 2 weapons depending on the colour. 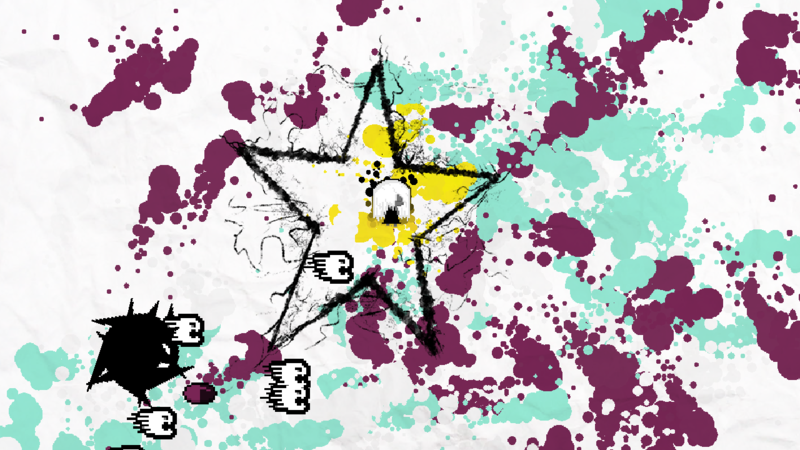 Killing coloured enemies inside your picture will grant access to your special weapon. Special weapons are harder to use than regular ones, but more powerful to make up for it. Finally there is your super move which requires super meter. Charge your super meter by having injections and dashing through blood ink. The doctors have been helping Warna learn how to use visualisations to defeat the demons. Using her love for drawing and colouring in combined with her medications, Warna has forged a formidable arsenal. Chalk - The most basic of weapons. Use this when there is no blood ink beneath your feet. 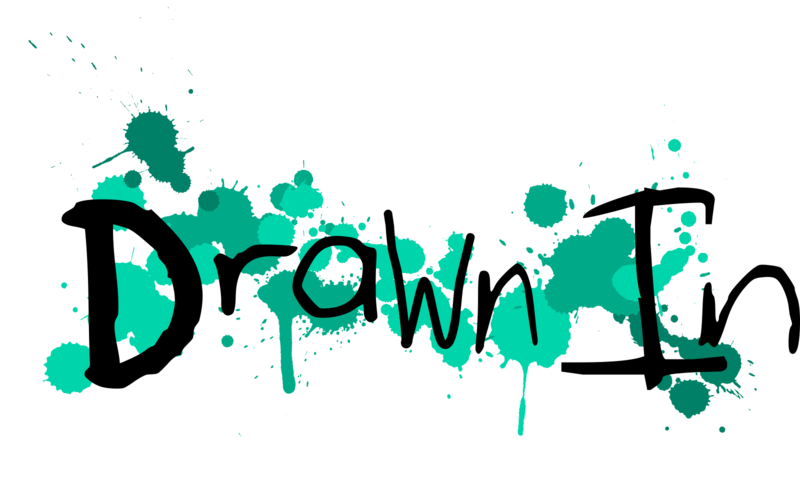 Rapid Crayons - Like a machine gun from your pencil case. Fast, precise, deadly. Shotgun Shrapnel - Useless crap at the bottom of your pencil case? Not so useless any more. Short range with a wide area. Crayon Rockets - Special weapon. The reward for colouring in well. Unload two full boxes of dumb fire rockets with explosive results. Pencil Scratch - Charge up enough and you can unleash your inner berserker with this super move. Plans for more weapons include a sniper rifle, flame thrower, grenade launcher, chainsaw and more. Feel free to make suggestions for your favourite weapons. The game is currently only available for Windows, though Mac and Linux ports are planned for the final release. Feedback is appreciated. Also consider sending me the debug info from the game (instructions in the game). 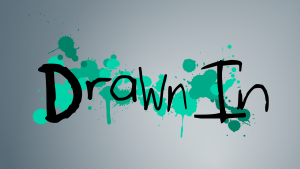 Drawn In has been successfully Greenlit, but you can still look at the Greenlight page here. As Drawn In is in alpha and under continuous development, there are many features yet to be implemented. New game modes, including story mode. More enemy types including bosses. Lots more pictures to colour in. Improved menus (including mouse navigation). Quitting the tutorial before the camera returns to default behaviour causes problems. Results screen sometimes displays the results half off screen. Title screen is sometimes glitchy after playing.